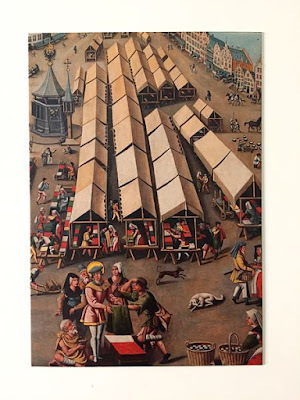 In the early decades of the Sixteenth Century, London was one of the great trading cities of Europe, a major port city, and a rival to Antwerp as a hub of the international cloth trade: yet it remained, by any modern standard, a relatively small urban settlement. 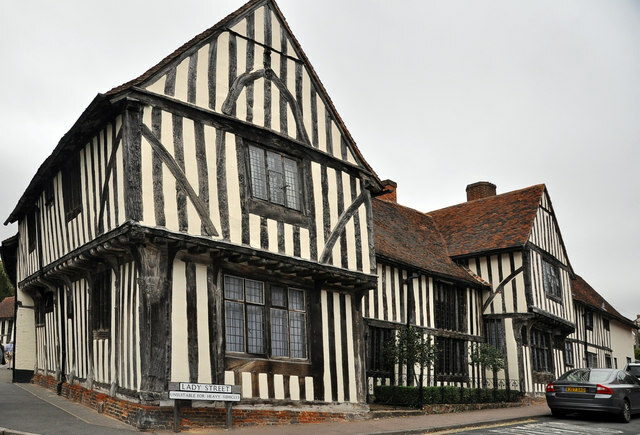 The estimated population in 1530 was around 50,000: comparable to modern Salisbury or Surbiton; a little smaller than today's Tamworth or Maidstone; a city that offered little in the way of anonymity, in which people were likely to have made a point of knowing each other's business. Yet it also had one of the greatest concentrations of wealth of any city in northern Europe. Rivalries, whether between individuals, families, trading houses, or livery companies, carried very high stakes. 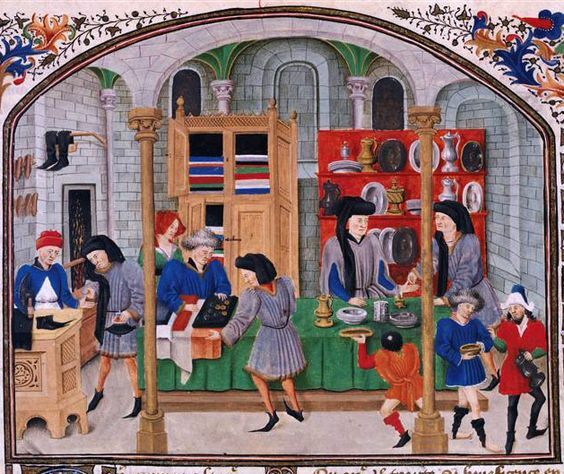 A drapers' market, c1530 (image is in the Public Domain). 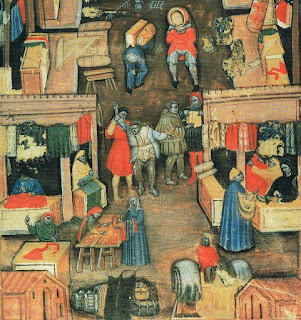 The drapers' market in Bologna (image is in the Public Domain). 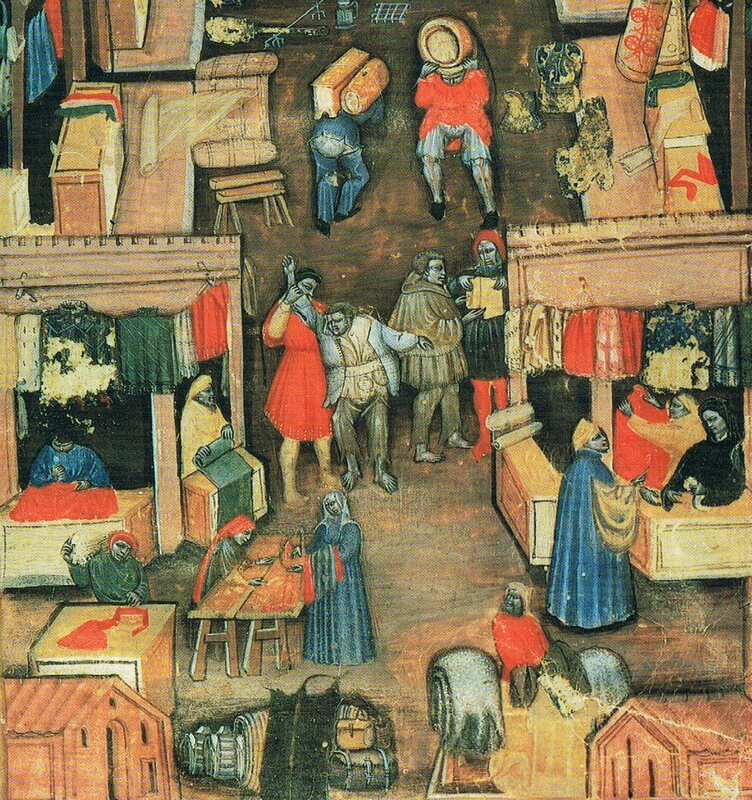 A late Medieval market (image is in the Public Domain). It was a city poised for change: by 1605, the population would swell to 225,000. New technologies were transforming the lives of people across the continent, few more so than that of printing, which revolutionised people's access to books and information. With the mass-movement of goods between England and the continent came the mass-movement of people, and, despite the best attempts of the authorities to prevent it, the spread of new ideas, many of them religious. In 1517, Martin Luther's scathing assault on the Catholic Church was published in Germany: it was soon translated into most European languages, and in widespread circulation. 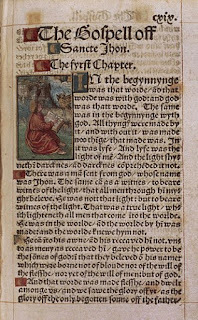 In 1526, the Englishman, William Tyndale, published an English translation of the New Testament. England, in the early stages of Henry VIII's reign, was still very much a Catholic country, and anyone caught in possession of such documents in London risked imprisonment, torture, and death: printers on the continent, however, churned out thousands of copies, and it was impossible to keep out the new ideas. Bust, believed to be of William Tyndale, St Dunstan-in-the-West, London. Photo: Lonpicman (licensed under GNU). The Gospel of St John, from Tyndale's New Testament, British Library (image is in the Public Domain). Carol McGrath's novel, The Woman in the Shadows, tells the story of Elizabeth Cromwell, the wife of the merchant, lawyer, and statesman, Thomas Cromwell. 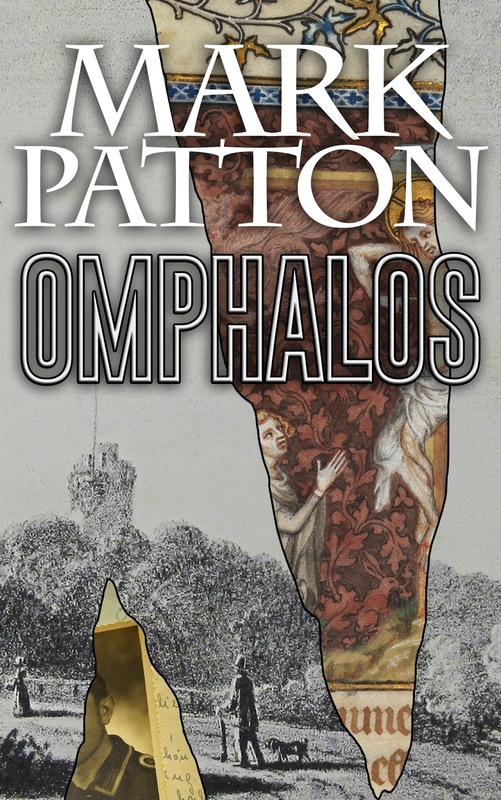 In some ways, it reads like a prequel to Hilary Mantel's Wolf Hall (since the Cromwell we encounter is a relatively young man, who has not yet established a role for himself at court), but it is told from Elizabeth's, rather than Thomas's point of view, and in a different narrative style (first person, mainly past tense; rather than Mantel's third person, present tense). We know relatively little about the historical Elizabeth: she was the daughter of a cloth merchant, and was already the widow of another cloth merchant by the time she met Thomas; they had three children together, but Elizabeth died in 1529, before her husband's political career really took off. 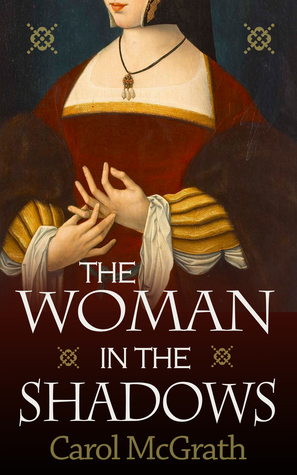 The novel opens with the death and burial of Elizabeth's first husband; depicts her taking over his business, contrary to her father's advice, and traveling to wool and cloth fairs; and shows us her romance with, and marriage to the ambitious Thomas; all set against the background of commercial life in a London that still moved to the rhythms of the liturgical year of the Catholic Church. 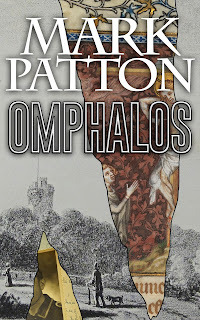 "Mother returned to her manor without me, and Father purchased broadcloth at the Bartholomew Cloth Fair, as well as the fabric for the monasteries. I was grateful ... Gerard Smith made all my deliveries that week, except for the cloth to Austin Friars . I told him not to visit the friars because I wanted to bring them the painted cloth myself. The Friary's beauty was well known and, since Tom had dealt with the Prior before, I hoped to see something of this famous place where scholars gathered, often traveling there from far-flung countries, the lands of oranges and figs." "When the monasteries paid us, I paid my debt, pleased to see that there was now enough left over to keep my household fed that winter. 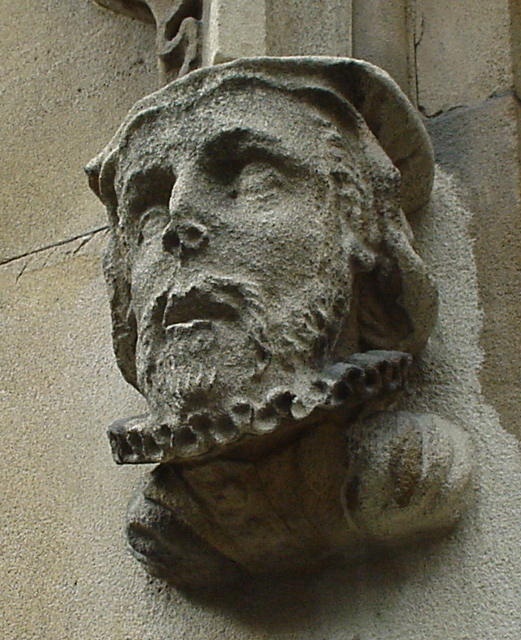 The rent on Wood Street was due by All Hallows' Eve, and I knew that I must use the rest of Master Cromwell's silver for this ... there would not be enough over to rebuild my much-needed woolshed unless I sold the remaining mixed cloth I kept in the attic storerooms and replaced it with even better cloth." 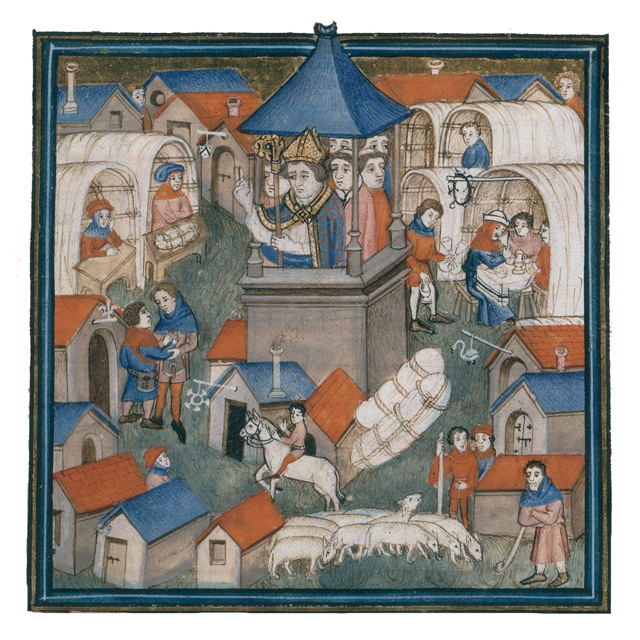 A bishop blessing a fair. 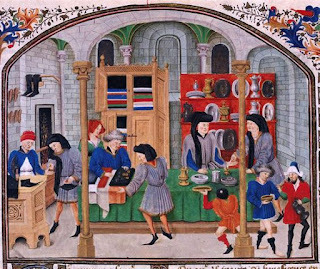 Image: Bibliotheque Nationale de France (MS Calais f 96e - image is in the Public Domain). 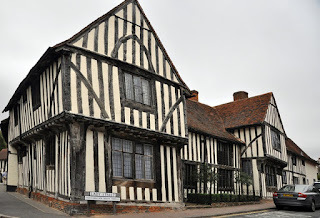 The Old Wool Hall, Lavenham, Suffolk. Photo: Mick Lobb (licensed under CCA). "'Smith,' I said after I had recorded our gains in the ledgers. 'Where can I buy new draperies? You know, linen or wool and silk mixes.' He thought for a moment, then beaming broadly said, 'There is always the Northampton Cloth Fair. Those fancy new cloths are woven up in Norfolk. They will be there aplenty, Mistress. They are in high demand.'" 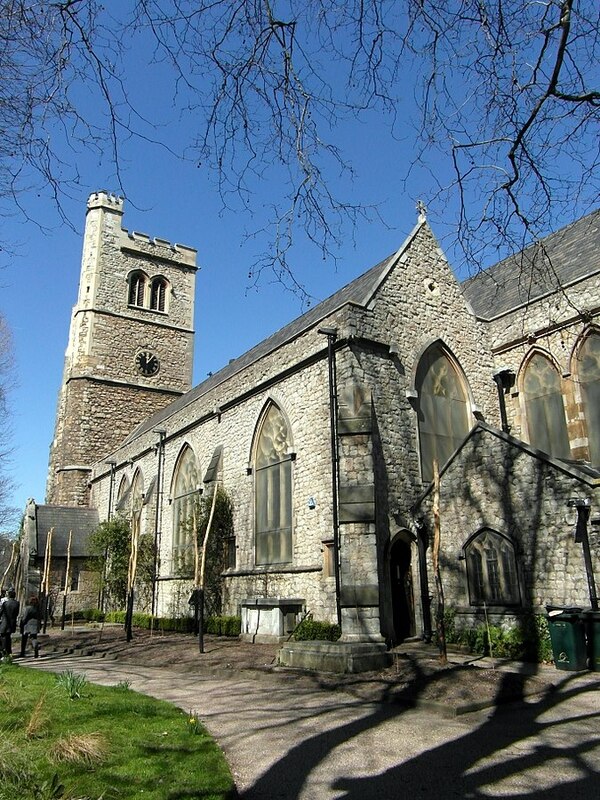 A visitor to London, exploring the Borough of Lambeth, and having passed Lambeth Palace, on the south bank of the Thames, arrives at the Church of Saint Mary-at-Lambeth. The first church on his site was built in 1062, by Goda (or Godgyfu), the sister of King Edward the Confessor, but nothing is preserved of her construction, which was probably made of wood. The current church (now deconsecrated) dates, substantially, to the Fourteenth Century, but was substantially repaired and altered in the Nineteenth Century, and again after bomb damage during the Second World War. 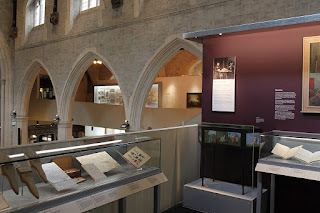 The Medieval Church was closely associated with Lambeth Palace, and, in the course of recent works a number of coffins were discovered in the crypt, including those of five Archbishops of Canterbury, dating to the Seventeenth, Eighteenth, and Nineteenth Centuries. 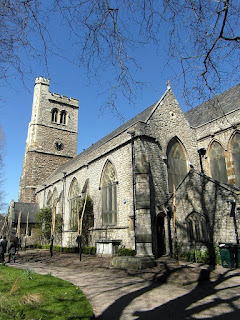 The Church of Saint Mary-at-Lambeth. Photo: Reading Tom (licensed under CCA). The tomb of the Tradescants. Image: National Portrait Gallery (image is in the Public Domain). 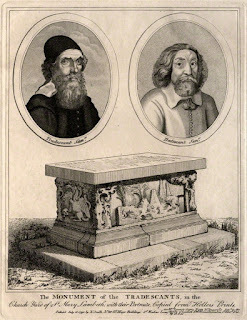 Among those buried in the churchyard are John Tradescant the Elder (1570s-1638), and his son, John Tradescant the Younger (1608-1662), Head Gardeners, in succession, to King Charles I. Both traveled extensively during the course of their lives: John the Elder in Arctic Russia, the Levant, and North Africa; John the Younger in North America; collecting both botanical specimens and ethnographic artefacts. 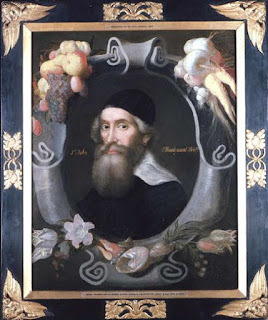 John the Younger was responsible for the introduction to Britain of a number of plant species, including the magnolia; tulip tree; bald cypress; and asters. John Tradescant the Elder, portrait attributed to Cornelius de Neve. 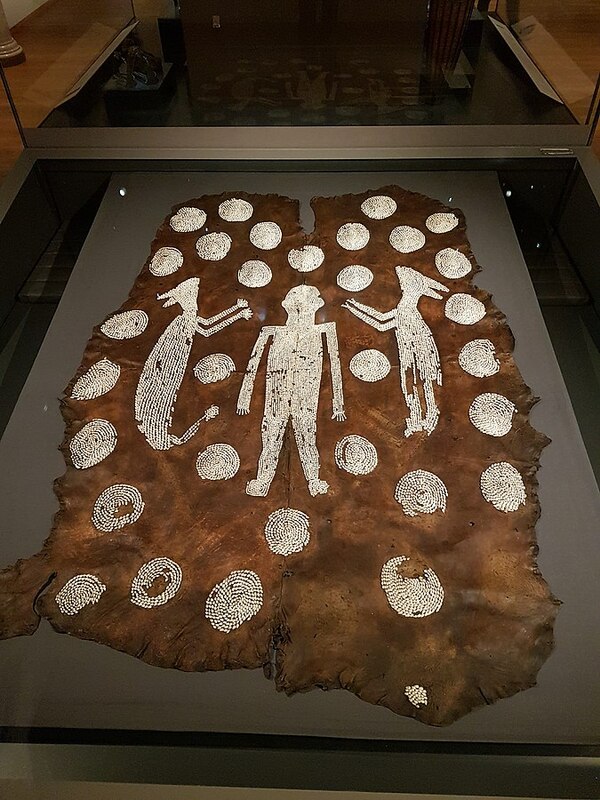 Image: Ashmolean Museum (Public Domain). 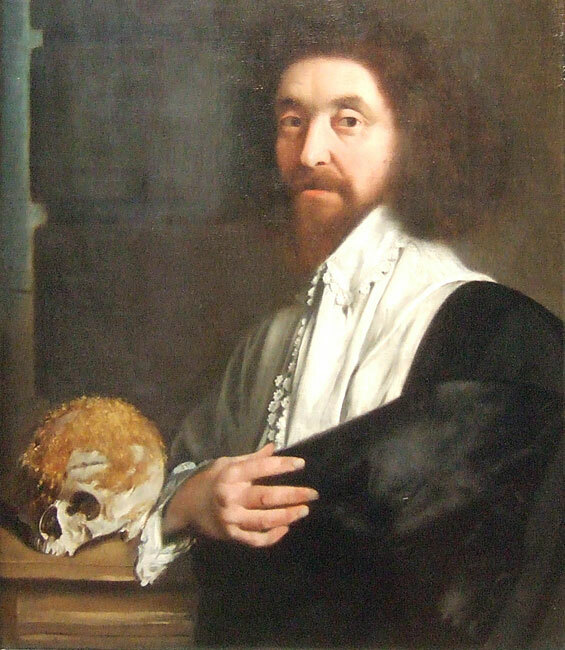 John Tradescant the Younger, portrait by Tomas de Cruz. Image: National Portrait Gallery (Public Domain). The ethnographic artefacts collected by the Tradescants formed the basis of a collection known as Tradescant's Ark, or Musaeum Tradescantianum, in their home nearby (since demolished): this was one of the first "cabinets of curiosity" in England, and was open to the public. John the Younger bequeathed his collection to his neighbour, Elias Ashmole, who, in turn, bequeathed it to the University of Oxford, establishing the Ashmolean Museum. 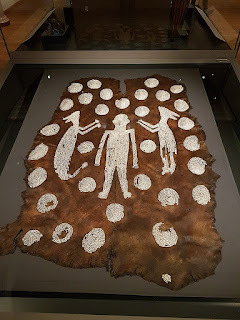 The "mantle" of the Native American chieftain, Powhatan, probably acquired by John Tradescant the Elder from his friend, the Virginia colonist, John Smith. Photo: Gtstg (licensed under CCA). 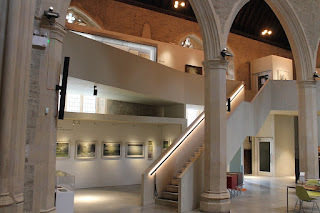 The Church of Saint Mary-at-Lambeth today houses both a museum of garden history and, courtesy of loans from the Ashmolean Museum, a reconstruction of part of Tradescant's Ark. The Garden Museum. Photo: Nicolaprice (licensed under CCA).